Having researched her increasingly elaborate skin care regime, winery owner April Gargiulo became increasingly concerned with the high levels of ineffective and potentially toxic ‘fillers’ she found in her products – which prompted her to start investigating non-harmful alternatives. 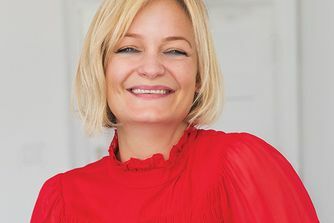 She dedicated two years of research to her pursuit for the ultimate ‘hero’ skin treatment and Vintner’s Daughter’s Active Botanical Serum was born. Brimming with potent botanicals, it’s now beloved by make up artists, models, beauty editors and bloggers the world over - it’s even been hailed by Into The Gloss as ‘the face oil to end all face oils’. From ‘game changer’ to ‘Instagram filter for your face’ – Active Botanical Serum is scooping up more and more high-profile accolades from leading influencers in the beauty industry (it's just been named Glamour Magazine's Best Natural Beauty Product of All Time) – and we’re about to add to the fast-growing list of unrestrained evangelism. This heavenly oil will transform your complexion – it’s a cocktail of 22 of the world’s most active organic botanicals, which works to target every skin complaint you’d care to mention. From loss of elasticity to decreased density, fine lines and wrinkles to pigmentation problems, this incredible elixir penetrates skin deeply where it sets to work repairing, regenerating and replenishing. You should see an improvement from first use – but when used regularly, the character of your complexion will completely change; say ‘hello’ to the strong, supple, luminous skin you’ve been dreaming of. 1. Begin with clean, exfoliated and toned skin. 2. Place 5-6 drops of Active Botanical Serum in the palm of your hand. 3. Gently rub palms together. This will further activate the serum and distribute product evenly across both hands. 4. Place full hand on either side of the face and press firmly. Push serum into skin by repeating 'Push & Press' technique on entire face, neck and décolleté. Continue to repeat entire process for 60 seconds. Vitis Vinifera (Grape) Seed Oil; Corylus Avellana (Hazelnut) Oil; Citrus Aurantium var Bergamia(Bergamot) Peel Oil; Persea Americana (Avocado) Oil; Calendula officinalis (Marigold) Extract; Rose Damascena (Rose) Absolute; Daucus Carota (Carrot) Seed Oil; Oenothera Biennis (Evening Primrose) Oil; Rosa Rubignosa (Rosehip) Seed Oil; Citrus Limon (Lemon) Peel; Lavandula x Intermedia (Lavender) Flower; Medicago Sativa (Alfalfa) Leaf; Urtica Dioica (Nettle) Leaf; Taraxacum Officinale (Dandelion) Leaf; Boswellia Carteri (Frankincense) Oil); Citrus Aurantium var Amara (Neroil) Flower Oil; Rosmarinus Officinalis (Rosemary) Leaf Extract; Hippophae Rhamnoides (Sea Buckthorn) Fruit; Curcuma Longa (Tumeric) Root Oil; Cupressus Sempervirens (Cypress) Leaf Oil; Jasminum Grandiflorum (Jasmine) Flower; Calophyllum Tacamahaca (Tamanu) Oil. Best oil, best quality, best results, best smell... worst price. But for me it's a holy grail. Yes its pricey but I can state that repeated use has completely turned my skin around, its smoother and some of my scaring is less noticeable and it appears to be more plumped. I do think it has really complemented my skin care routine and added that extra oomph. I now use it less as I find I don't need to use it every day anymore so hopefully it won't be so pricey for me. if it is in your budget then try it. I bought this before my wedding as an indulgent luxury - this was 6 months ago and my little bottle is still going strong. My skin looks and feels amazing, the smell is divine and it was well worth the investment! Hands down changed my face from dull to glowy. I love this product more than anything in my cabinet. The price does not matter compared to what it does to your face. Number one holy grail product for me. I’ve been wanting to try This serum for over a year now but as I’m a bit reactive to oils I did not buy it, 2 weeks ago after yet again reading so many lovely reviews I just bought it, hoping not to be disappointed and OMG how I wasn’t. This is without a doubt the best face product that I’ve ever used!!!! And trust me I have tried a lot. I’m obsessed with beauty products and buy for a small fortune every month and this one really does what it says and the hype is real. I’m going to buy one more just to have a safety stock at home! I have sensitive, dull, often dehydrated and rosacea/eczema prone skin which is currently very unhappy in the cold/central-heating. This is a rescue in a bottle. Believe the hype, this oil is BEAUTIFUL and it makes your skin look beautiful. Yes it’s expensive but it is worth every penny - don’t just save this to your wishlist ... order it now. I can't exactly pinpoint how I feel about this one. It smells amazing, doesn't break me out, gives a nice glow but not sure what else it's doing. Maybe it's because I don't have problematic skin in the first place? I will use up my bottle but am undecided on whether I'd repurchase or not. I got this as a sample with my recent order and after 3 nights of use I can honestly say that I could see a very very visible difference in my skin. I was nervous to try this serum as my skin can get hormonal, but wanted to understand what the rave was about, so tried it. I personally loved the smell and feel of it, it wasn't oily at all and after 3 days of use my skin just looked really clear. I'm currently using some other products, but once I have finished them, I will be purchasing this serum. I purchased this over a year ago and have just recently finished the bottle. It was a lovely treatment oil and I have been thinking about purchasing it. The increase in price by £25 was a surprise and to very very, very honest £175 is simply too much. I can afford to pay £175 but I do not think this warrants it. There are many other equally good oils available at half the price. I expect dancing and singing for £175 and while it hums beautfully, it's not enough. Hate to Love it this much. The first time I purchased this serum my skin was looking the best it ever had but my wallet did not love it so much so I decided to give another not-as-expensive but still high end oil serum a chance.. nope. My skin was looking ok but not as good as with Vintner's daughter. Now I've been using Vintner's Daughter for a week and my skin is back to looking just as good as I remember even though it is winter and I live in Norway so if you have the money to splurge give this a chance. I'm liking this oil but the scent is initially very overpowering. If I hold my nose for the first dab on it's ok afterwards. My husband asked me if I'd put on perfume coming to bed haha. I think it's a nice face oil, I like the results but it hasn't bowled me over after using for a few weeks. It's a truly amazing oil. It moisturises, plumps, makes your skin glow and so many other beneficial properties in one serum. My favourite way to use it is in the morning and the ritual of smelling it and then massaging into my skin is a pleasure. I don't expect this to give me targeted results for that I rather use Zelens however as an overall serum it is perfect. Would I repurchase it? I won't know until I finish it and figure out wether my skin will be missing it. I will let my skin decide for me ;-) For now I'm absolutely loving Vintner's daughter. It's a nice, good quality oil, but not a miracle worker! I bought this serum/oil off the back of a number of glowing reviews both here and by some well known beauty bloggers. I've been using it pretty religiously for the last few weeks, some days both day and night and some days, just in the evening. Do I think it's the holy grail of all facial oils and life changing? No, I don't. My honest opinion is that it is a very good quality facial oil that smells amazing, feels very nice when it goes onto the skin, won't irritate or cause any issues and hydrates nicely. It doesn't reduce lines visibly or reduce any dark spots you may have. Do I think it's worth the price I paid for it? No I don't. For £150, I was expecting something close to a miracle worker, that would make me wake up with luminous, clear, glowing skin, given that the rest of my skincare routine is pretty on point. I used to use Ester Lauder's ANR which is half the price of this serum, and I would wake up wth skin that genuinely was much better than the skin I went to bed with. Clear, smooth and hydrated. I have not had those results with this product. This oil is a lovely oil, and I'm not in any way saying it isn't a good product. I'm just saying that if you are spending £150 and expecting this oil to change your skin drastically, please lower your expectations as it definitely is not going to do that. Will I repurchase when it is finished? No, unfortunately I won't. It heals the skin wonderfully - dramatically reduced the size and redness of a freshly popped, bleeding cystic acne in 2 hours (The Blue Cocoon didn't heal my skin this fast!!). This is how I know this stuff REALLY works. Only one drop of this product (in conjunction with other serum or moisturiser) works great on my combo-dry skin, which is good because this pricy little thing lasts longer this way However I do find that my skin feels tight although it has a moisturised touch if I only use this on my skin. If I accidentally use too many drops (say 3) it may cause some congestion even breakouts in very hot summer days if I forget to properly exfoliate. I don't have problems with dullness, aging or whatsoever so I can't really comment on those functions of the serum. But doesn't help with my pigmentations tho. I basically use this as an anti-aging serum, but may switch to something else more light weight for this purpose for the summer. 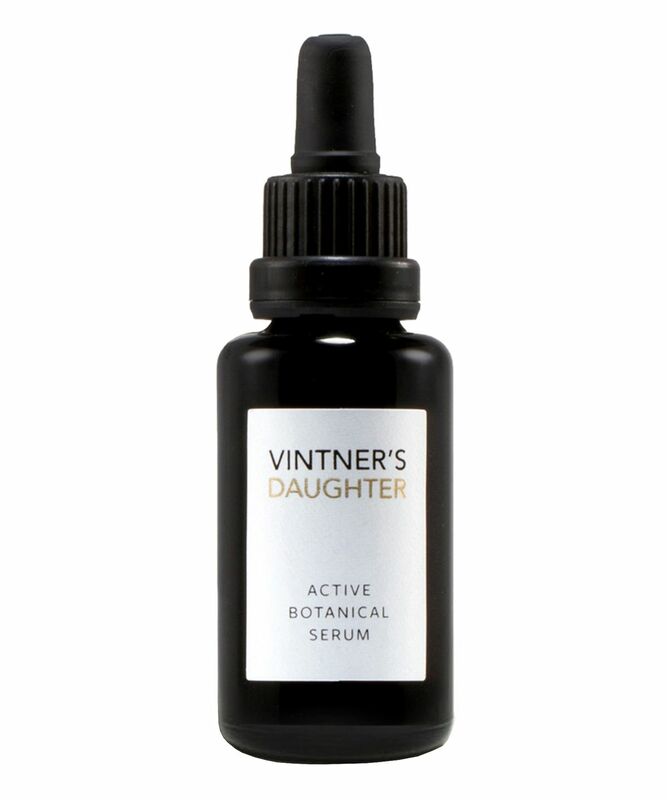 Vintner's Daughter is by far the most beautiful face oil I have ever used. It is so gentle, light, soothing - and absorbs wonderfully into the skin. I love how there are 22 active ingredients and no cheap filler oils. This is so worth the money. It feels so nourishing and the fragrance of the natural botanicals is sublime - like giving your face love from Mother Nature. This is a staple in my skincare and I will always buy this. It is delectable and has done wonders for my skin. I tried the May Lindstrom Youth Dew - it was not for me. The Kypris 1,000 Roses Elixir is lovely. For my night oil, I use Sunday Riley Luna Oil three times a week. The rest of the time, I always reach for Vintner's Daughter. If you are going to invest in one big purchase for your skincare, this is amazing. However, I don't think anybody under-30 needs this. If you are on the other side of 30 - seriously consider this as Skin Rehab for yourself! Also, A LITTLE GOES A LONG WAY! I had really big hopes for this oil ( after all the rave reviews I read). So, even if it was quite expensive, I decided to get it. Now that my bottle is almost over, I can finally say "This oil was not for me". It didn't really absorb into the skin, but was more sitting on top of it; the morning after my skin looked quite dehydrated if I used it on its own. I wanted to love it, but this oil is definitely not for me (nothing special at all considering the price). So, I repurchased my all time favourite MV cleansing oil instead. I had high hopes for Vintner's daughter, but it just isn't for me. This oil doesn't absorb into my skin at all, but just sits on top of it. Consequently, my face feels tight and uncomfortable. I can't say if it had any positive influence on my skin, it ought to absorb to do that. The scent is gorgeous though.... I am trying to find creative ways to use the product up, because I don't want to waste what is in it.,,,the ingredient list reads like a dream. Best skincare buy this year. The process of how this face oil is produced got my attention. Enfleurage, sounds mysterious and exotic. And then its scent, colour, texture and performance. I use in the pm about 5 drops and in less than 30mins it's properly absorbed into my dehydrated skin, leaving it soft and hydrated. No oily film, no breakouts, no blackheads, absolutely amazing! Magnificent...it's an all in one product...definitely one for a lifetime...the manufacturers must must must do an Eye serum/oil/cream too....brilliant product...no words are enough! Sadly (due to the price) I LOVE this. I was very sceptical as I've been drawn into the hype of certain products and been extremely disappointed. Not with this. From the first use I noticed a difference in the texture and brightness of my skin. It sinks in easily and is a pleasure to use. ...is what this oil is called and what intrigued me to buy Vintner's Daughter and this is indeed an exquisite oil. Very smooth and leaves a noticeable difference to your skin after the very first application. My skin is so soft and the fine lines smaller. It has become my number one choice when it comes to face oils and I'm definitely going to stick with this one. Although, I do wonder why the manufacture hasn't added Prickly Pear to the otherwise impressive contents, because Prickly Pear is the best of all wrinkles fighting oils. Well, I’ve added some myself and now it works even more wonders. The recommended 8 drops is way to much for my face and neck, 3-4 drops are plentiful as this is also a pricey product. To begin with I used the recommended way to apply the oil, but I’ve stopped doing that and now just massage the oil gently into my skin. When our buying director Stacia handed this to me to try I was in the middle of a face oil 'fatigue', spoiled but true. Every skincare company has jumped on the bandwagon of the new Western consumer acceptance for this category. The word is out face oils WORK! As with every bandwagon, there are always me-too stragglers clinging to the back step with dubious practices and low quality goods. I had tried a few clangers in a row, so when Vintner's Daughter landed on my desk I wasn't excited and I didn't give it the attention it deserved. An email in from a customer telling us we HAD to sell this reignited my interest a couple of weeks later, so I took it home and started using it. Then I had a run of great skin. No dry patches, even tone, no hormonal spots, plump, happy, radiant and behaviorally 'on fleek'. This is a very good do-all facial oil for any skin type. I am completely sold! Spend your salary on this oil. You will glow like an angel. This hydrates, sinks in quickly, smells exquisite, and has completely evened out my skin tone over the past 4 months of use. Favorite part of my PM routine. Worth it, would absolutely repurchase. I have to preface this review by saying that I wanted so badly to like this product! It came highly recommended from several people I admire and trust with skincare so I was excited to give it a go. It is an amazing quality product! It smells unreal and the contents are extremely high quality. It's a product that you can truly appreciate. I will recommend if you are on the fence to give it a try because I've heard that it can be such a wonderful life changing product. I think this would be amazing if you had normal or combo skin. My skin is so dry that although it feels wonderful to apply it doesn't really do enough to warrant the high price tag. I'm still enjoying using it and am glad that I gave it a chance I think you won't be disappointed if you try it, but at this price, it needs to really amaze me to justify a repurchase. I'd had my eye on this for a while, excited to get my hands on it after reading countless rave reviews. After consistent use over four weeks, I've seen no significant results. It's aromatic, soothing, absorbs quickly and gives a beautiful glow but with nothing remarkable in terms of correcting pigmentation or brightening and considering the price, I won't be re-purchasing. I left a review over a year ago and wanted to update my thoughts on Vintner’s Daughter Active Botanical Serum. As a beauty journalist, I’m always asked what is my holy-grail skincare product? My answer is definitively this amazing serum. I use this daily and have cut so many other products out of my skincare regime because this is multifunctional. I use this in conjunction with Tata Harper Floral Essence, as I like to spritz my face with that before applying my Vintner’s Daughter Active Botanical Serum. I know the price point is something that people question. This serum is made with 22 active botanicals and contains NO cheap filler oils. There are no dupes. You cannot mix up all the different oils yourself and get the same product. It is cold-pressed in a particular way, using the most premium ingredients possible. I absolutely love the smell - it makes me feel so zen. This serum feels like pure nurture and nourishment from Mother Nature. This is rehab for the skin. After months of dithering, I finally took the plunge and ordered this. Oh. My. Word. My skin loves me. I love my skin. I said it’s a facial in a bottle; it’s actually better. I always come away from a facial feeling amazing, only to catch sight of myself in a mirror and find that I look like a red, splotchy greaseball. This serum gives you that same feeling but your skin looks AMAZING from the first use. I’ve had problem skin since I was 8 (now 32!) and this is the first product I’ve used (and I’ve tried LOTS) which has calmed it down. Worth every penny. I was lucky enough to win this beautiful oil a few months ago. I must admit, I was not very eager to buy it myself because of the prize tag. As someone who likes to find the perfect balance between quality and quantity, I cannot imagine paying this much money for one product. I do however love this face oil. I have been using it for a couple of weeks now. It hydrates and the next day you wake up with glowing skin. This is the perfect oil for those cold winter months. Although if you have very dry skin, I would recommend using a cream on top. After I finish this precious bottle, I will be on the lookout for a cheaper 'dupe'. But for now I will try to make it last as long as possible. I was seriously so excited to try this after countless reviews and a whole vintners daughter dedicated video by Stephanie Nichole. This oil left me with severe cystic acne and bumps everywhere. And you know when you’re so sold on a product that is meant to be good you don’t even check in the ingredient list and keep on using not even double thinking; yup that was me. My fault to be fair. This has a lot of fragrant essential oils, and I mean a lot. I can handle a few slipped in a formula but not this much amount!! Now there are also some skincare benefits to fragrant essential oils, but This much amount my skin just cannot take. So currently I use it as hand oil at night and smell it lol because I do find it nice to breathe in for a short while but not lingering on my face because it’s very strong. What can I say that hasn't already been said? This serum(oil) is amazing! This serum is my absolute love. It gives you a luminous and glowing skin. Wonderful, almost like "fertiliser" for the skin! Since using this oil for the last 10 days, it has become indispensable to my skin routine. I originally purchased it to keep in my travel bag but once I tried it, I cannot live without it. It has cleared my skin and treated some large acne scars as well as redness and uneven skin around my mouth and nose and leaves my skin super soft. The first time I used this oil I was a little taken aback by the smell, as I could only compare the strong combination of natural ingredients to fertiliser, hence my title. I do have a very sensitive nose, and reading other reviews, that could be just me. The smell however has not put me off using it every day because it really does work. I feel I will be purchasing Vintner's Daughter oil and anything else she produces for some time to come :-) Thank you for producing this oil! (About me: Caucasian, female, 39 years old, somewhat sensitive skin) I have been using this product consistently for seven months, minimum one time per day and usually two (morning and evening), and my skin is brighter, more radiant, more youthful, and refreshed. My skin doesn’t look or feel tired or dry. The smell of the product is wonderfully natural and herbal. I was initially skeptical of a serum that has consistency of a light oil, but it doesn’t clog my pores at all and soaks into the skin relatively quickly, not leaving an oily residue on the surface. I find that using this in the morning, under a tinted moisturizer, gives my skin an especially dewy look and helps protect against the dry air of being in an office all day. The price point is certainly a bit high, but based on my experience over more than seven months, it’s well worth the splurge. In addition, I don’t find the need to use a bunch of other products so this has essentially become my go-to skincare product. My skin loves this serum! I credit it for turning my skin around - it was dry, flaky, and congested and is now clear and hydrated. I hoped to not love this serum as much as I do because of the high price tag, but I will use this forever! Literally can't wait to get home so I take take off makeup (don't wear much anyways!) and put this on - smells good, feels good and skin already looking healthier and more luminous. Best part of my skin routine. I've had this for about 3 weeks now, using it primarily at night roughly 5 days a week, and my i-don't-believe-all-your-skincare-products-work boyfriend said tonight "your skin looks amazing. I don't think I've ever seen it look this good" (in 7 years!). Guess who's asked if he can use some for his dry spots? I have combination skin, large pores (extremely), my skin is also uneven and so on on. I've tried 1000 products - BUT nothing works as this one. By far: the best product I've used! I wanna stash of it. My friends started complementing my skin, the wrinkle I had is smaller, my skin is bright and "alive". I'm happy. This product made me happy! Don't stop producing it! if i could only use one product for the rest of my life it would be this, unfortunately (due to the price). I had high expectations because of the reviews (I could only find one that wasn't 5-star when I bought it ) and the price and it honestly exceeded them. My only complaint is that the 6ml they tell you to use is excessive after the first 2-3 days maybe. I use morning and evening and 2-4 drops depending on how dry my skin is (my skin is definitely dry not oily/combo) and that is more than enough. I ummed and ahhed over buying this for a long time and ultimately succumbed thanks to reading and hearing accolades left right and centre. This is the most expensive skincare product I own / have ever bought (by double) but I am so glad I did. I love everything about it - effect, ingredients, texture, smell, packaging. I would wholeheartedly recommend it! Wow! I am a face oil addict and have bought the entire Sunday Riley range, Zelens, Kiehl's, Dauphin etc. This gives amazing results from the start. I am truly impressed with this oil - it's nourishing and sinks in beautifully. I don't think you need as much as the recommended 6-8 drops unless you're going to combine with a massage etc. I am also going to try combining this with my make up as it gives such a youthful glow to the skin. I think I may have found my Holy Grail product.